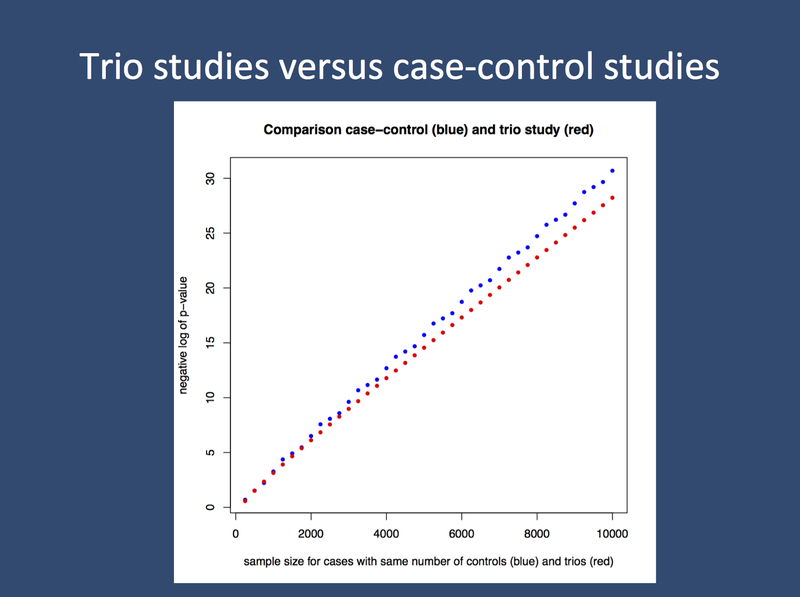 Comparison of the p-values when testing a variant present in 1% of cases with a risk ratio of 5 in case-control studies compared to trio-based association studies. The latter assess the over-transmission of the variant from parent carriers to the affected offspring. For the parameters put into the analysis, the results are pretty much equal. 1000 cases vs. 1000 controls is as good as 1000 trios.